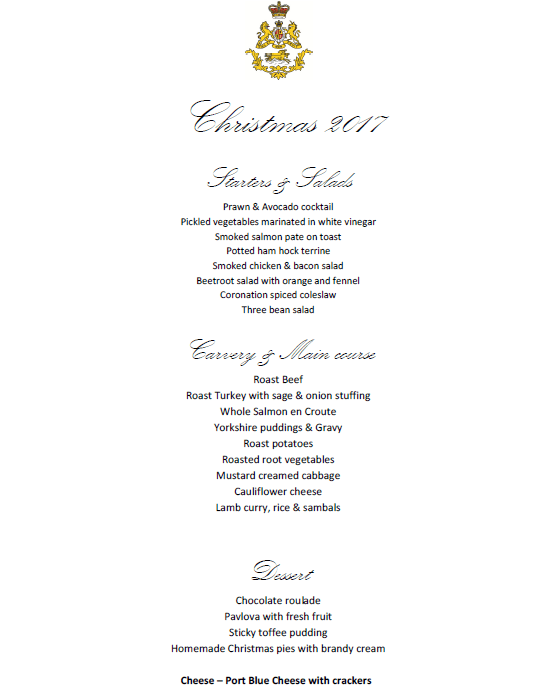 Our Christmas lunch on the 24th will be an old fashioned buffet prepared by Chef Charlie Lakin and the kitchen team. There are a few places available so please book as soon as possible to avoid disappointment. The cost if R 320.00 per person for non-members and discount applies to members with valid membership cards. Please call 031 301 5425 to reserve your seat and find out discounted rates. This entry was posted in Article, General News, Uncategorized. Bookmark the permalink. Both comments and trackbacks are currently closed.